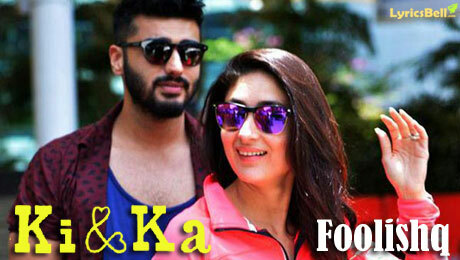 Foolishq Lyrics from Ki & Ka is sung by Armaan Malik & Shreya Ghoshal is a beautiful song composed by Ilaiyaraaja. Get its lyrics which are written by Amitabh Bhattacharya. If you find any mistake in lyrics of Foolishq song please let us know in comments.